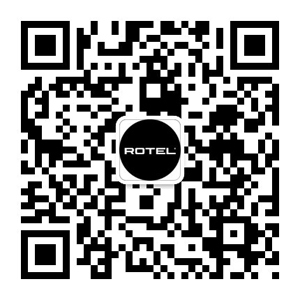 We are here to help you with any questions you might have about your Rotel products and devices, or we can offer insight into the world of sound and sound quality. Search our database for answers. Select a product for best results. In order to compare power (in watts) between surround receivers we have to assume that everyone is measuring the power of their amplifier section the same way - which they currently are not. As of the writing of this FAQ, the FTC has not mandated a standard power rating for multichannel receivers and amplifiers, like they did with stereo receivers and amplifiers years ago. The old standard was that a manufacturer must publish its power rating with all channels driven, from 20Hz to 20kHz, into a standard load (8 ohms usually.) This is not happening today, and what we at Rotel would specify as 75 watts per channel, another manufacturer might specify as 120 watts. It depends on how it is measured. Many companies today are rating the power amplifier output by driving only one channel, and often into a lower impedance to show a higher rating. Is this fair? No, but it is being done all the time. Why does Rotel not have Autoeq? At Rotel, we have been asked many times why our audio/video receivers don't feature an Auto-Eq set up. The short answer is that while these devices do change the sonic characteristics, we don't believe that they provide a real sonic improvement at this level of product manufacturing. Further, that the cost of including this feature comes at the expense of overall audio performance. For the more complete answer, please read on. The electronics industry continues to evolve at a remarkable pace and surround-sound electronics along with big screen TVs have brought the cinema experience home. However, not every new feature should be taken at face value as a real benefit. Auto EQ is the latest feature touted to add more value to home theater receivers. The premise of Auto EQ is that it takes the guesswork out of smoothing acoustic room variables through the use of a microphone and some digital signal processing. However, you don't need to look much further than the comprehensive article from Keith Howard - "Anti-Node: Active Room-Acoustics Correction" in Stereophile - January 2008 to understand how difficult this is to do well, even with far more expensive dedicated EQ systems. While it might be construed that we are denigrating Auto-Eq because we don't include it in any of our models, we stand behind our belief that this feature adds a cost factor that is far better off spent on higher performance parts, which can result in true sonic improvements. As an analogy, it is a bit like purchasing a Yugo automobile with heated leather seats, a powered sunroof, and 20" chrome wheels. The Yugo is then a little fancier than a basic Honda, but it still drives like a Yugo. In fact, in some instances, auto-correction equalization can do more harm than good. This is due to the fact that digital EQ processing at this level is nowhere near as sophisticated, as it needs to be. A manufacturer's home theater receiver BOM (Bill Of Materials), will quickly show that they simply can't afford to add the processing horsepower (cost of the chip) required to get the job done properly and still be competitive. The end result is that a value engineered Auto-EQ chip makes a guess about the worst offending frequencies, but by dramatically altering those sound waves, they also end up changing others that can affect the sound negatively. If you are really concerned about getting the very best sound out of your home theater, or stereo system, you should consult a Rotel audio/video specialist. They know how it all goes together: how to position speakers in a room properly and how to set up your system's software for bass management and speaker levels to get the best sound. If you are looking to achieve the absolute best in performance, they can also consult with you regarding room mode correction treatment materials, or on designing a proper acoustic environment from the ground up. At Rotel, we have not ignored the importance of having some flexibility in controlling room modes. Did you know that the new 15 series components have very flexible bass management options? They can provide independent speaker configurations and crossover settings for each channel and surround mode. You can even create basic "notch filters" for troublesome frequencies. As an example, if you had a room node at 90Hz, you could set the speaker mains to roll off at 100 Hz and the subwoofer at 80Hz. For even more flexibility, there are contour adjustments at 10kHz and 100Hz that can be set independently for each channel. These are acoustic adjustments that can subtly improve the performance of your system without creating wider problems. However, there is simply no substitute for a home theater system that is designed and installed by knowledgeable experts. Why does Rotel use both Class AB and Class D amplifiers? Rotel has been designing, manufacturing, and refining class AB amplifiers for over four decades now. These designs have proven to be extremely reliable and have won many significant awards for their sonic excellence. Part of our reputation is due to the extraordinary amount of attention we devote to the power supply, especially the single most expensive component, the transformer. In order to ensure that this critical element meets or exceeds all of our specifications, we custom build and test all power transformers in-house. For some audio enthusiasts, class AB power amplifiers remain the preferred choice because of their proven performance over several decades. Many of today's home theater and multi-room audio applications however, require components that not only perform to the highest sonic expectations, but also fit into smaller enclosed spaces such as custom cabinetry or equipment racks built into walls and closets. Electronic components in these close quarters generate a large amount of potentially harmful heat, most of which is generated by traditional analog amplifiers. In this situation, class D amplifiers make the most sense. Whether or not you choose traditional class AB or the newer class D amplifiers, you can be assured that all Rotel amplifiers will provide you with great sound and reliability for all your audio video needs. Can Rotel be controlled by third party remote controls? Absolutely, Rotel works with many different types of remotes and control systems such as Crestron, Universal Remote, Logitech, RTI, and many others. It may be best to work with a professional programmer through your retailer however, as the more components you add, the more complex the programming becomes. An internet radio station that I have used for weeks does not connect anymore - the display just says 'Connecting'. Internet radio stations sometimes just disappear, or change URL which is the address that your Rotel obtains the streaming signal from. Log on to your account at www.rotelradio.com and check that the wanted station is still available by reloading it. If the site reports that the station fails the streaming test, then the service has been discontinued. Are there any discrete remote IR codes to control zone 2 on my Rotel receiver/processor? Yes, many Rotel receivers and processors include discrete remote codes to control power/volume and input selection for zones 2-4. In many cases these codes are not available on the supplied remote, however we have the raw hex codes available for download on the Support section of this site. Many third-party control systems and remotes may already have these codes available as well. Are there any pure analog and unprocessed inputs on Rotel surround receivers or processors? Yes - these Rotel receivers offer a 'Bypass' mode for all of the stereo analog inputs which allows the signal to bypass all of the internal DSP processing and remain purely analog from input to output. In addition to the analog stereo inputs, Rotel receivers and processors also offer a multichannel analog input which also bypasses all internal processing, allowing you to connect a multichannel source such as an SACD player to the system. Are there any pure analog and unprocessed inputs on the RSP-1066, RSX-1055 or RSX-1065? The RSP-1066, RSX-1055 and RSX-1065’s analog inputs are all pure analog inputs when used in 2 channel stereo mode. There is some digital processing to generate a subwoofer output in stereo, but this is not done to the original signal. The signal is split at the input and a copy of the signal is sent to through processing and the digital crossover of the unit to generate the subwoofer output for stereo. The only signal processing the original signal sees before the output is tone control and volume. The other analog input on the these models is the 7 channel Multi Input. This is a pure analog bypass of the DSP circuitry, with no processing only an analog 100Hz filter which redirects some bass information below 100Hz to the subwoofer output while still allowing the speaker outputs to pass a full range signal. This allows there to be a subwoofer output even for source material that does not contain a dedicated LFE channel. Can a powered subwoofer be connected to my Rotel Integrated Amplifier? Most Rotel Integrated Amplifiers provide both line-level and speaker-level outputs that can be used to connect a powered subwoofer to your system. To connect a powered subwoofer via line level (RCA), the Left and Right PRE OUT connections can be used from the Rotel unit to the line level input on the subwoofer. Alternatively, most subwoofers also can be connected via speaker wire, and your subwoofer’s owner’s manual should give more connection information on the various setup options using speaker level connections.